DaVinci produces some of the world’s most advanced portable vaporizers and associated accessories. One of the hallmarks of DaVinci products is that they push the boundaries in terms of innovation to make vaping not only easier but also more rewarding. 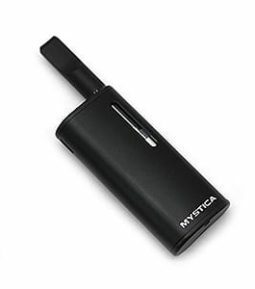 Their flagship product is the DaVinci IQ Vaporizer, which is an intelligent portable vaporizer unit. Some of the features of the class leading product include a very slim profile, unique design, Bluetooth integration, a ceramic air path and Smart Path technology. All these features come together to make a product unlike any other in the market. The DaVinci Classic and Ascent product lines are also hugely popular due to their distinct design. Why Should You Choose DaVinci Products? Are you interested in a high quality vape kit which can double up as a status symbol? Head over to our DaVinci inventory. We stock the DaVinci IQ Vaporizer, the flagship of the company and one of the most highly rated vape kits to date. Discount Vape Pen makes it easy for you to obtain this product at an affordable cost, despite it being an OEM product. You also get to save on shipping, since we don’t charge for that. Our staff members are on hand to offer any assistance should you need it, and you are assured that you would be making an excellent investment by buying the DaVinci IQ from us. For the most affordable OEM DaVinci IQ vape kit, shop with us today!